An interview with the director of the Kingdom Hearts series, Tetsuya Nomura appears in this week's issue of Famitsu Weekly which releases on October 9, 2014. The interview discusses Kingdom Hearts HD 2.5 ReMIX, Kingdom Hearts III and how Nomura feels about the compatibility between the Kingdom Hearts series and multiplayer. Also as we reported earlier, Nomura also reveals that Kingdom Hearts III is now being developed with Unreal Engine 4. You can read the full interview translated in English below thanks to goldpanner. Kingdom Hearts -HD 2.5 ReMIX- by Square Enix was released on the Playstation 3 on the 2nd October 2014. Just in time for its release, we published an interview with director Tetsuya Nomura in our 9th October issue and 16~23rd October joint issue of Weekly Famitsu. We are now posting a corrected and edited version of that same interview. —The main illustration you drew for the box art of KH2.5 is once again a gorgeous composition. Please tell us your concept for the illustration, as well as any things that gave you trouble. Nomura: I drew the characters of the three included titles just like KH1.5. The surrounding Keyblades suggest the Keyblade War which Master Xehanort, the main focus of the image, is largely concerned with. At first I drew Xehanort even bigger, but I made him a little smaller due to the placement of the logo. Also, as this was to be used for box art, the rating symbol would be added in. The symbols used overseas, especially the European version, are rather large. The Disney characters can't be covered up by that mark, so I laboured over the layout. —So that's what you took into consideration for that composition. Also, KH titles always have memorable taglines, and KH2.5 is no exception with the tag 'an unforgettable journey'. What intentions were involved in it? Nomura: In the beginning the publicity side came up with a blurb, but I wanted to use simpler, 'catchier' words, so we decided through a heated discussion. I was in San Diego for the 2014 International Comic-Con, so I was hitting up the publicity guys on LINE (dry laugh). Finally we moved towards settling the intentions I wanted to convey in a KH way, and based on how KH2.5 includes some of the most important 'journeys' in the series, the publicity side went with something that highlighted 'what kind of journeys' they are. —We see. Now we will ask about the game content of KH2.5. Were there any parts you were particularly attentive to during production? Nomura: Due to size issues, in the KH 358/2 Days (hereon Days) cinematic work included in KH1.5 we left out combat and just went with text intermissions that explained, but many fans pointed out that it was a shame, and that weighed on me. As KH Re:coded didn’t have the volume of Days, we were able to follow-up on that part by creating cinematics for the battles and Disney world stories as well as adding some narration by Mickey. Mickey both opens and closes KH Re:coded, so he was the best choice for the narrator. Also, as KH Birth by Sleep (hereon BbS) was going from a handheld console to a non-portable one, we needed to adjust the controls and such. At first, we were also looking for a way to include the multiplayer section as it was. This wouldn’t have been too difficult if we were only working on BbS, but as we had three titles’ worth of work on our plates for KH2.5, we included it reworked into a single player feature. —Did you have any feelings reexamining your own past work when producing KH1.5 and KH2.5? Nomura: Replaying games made years ago often does let you feel their age, but I’ve never felt that way with KH games. I think perhaps the HD remastering has made them even more universal. Also, my impression from playing it after so long was, wow, I didn’t think there were so many specialised worlds in here. Perhaps that’s because they were easy to use game-wise when I included them. For Olympus Coliseum etc, we staff went along with our planning under the assumption that, while we still hadn’t decided on whether to include something, there might always be a KH3 (laughs). There’s also Sora’s growth as a character. In KH1 I was incredibly conscious of keeping things ‘Disney-like’, but as the titles have added layers I think an originality has appeared. —After your long involvement with the series, what do you think is the particular charm of Disney works? Nomura: It is the extremely loving and careful way they show and handle their characters both inside and outside the works themselves. I think this is what makes Disney works top class worldwide. This is very important with games too, according to the type, and the whole thing can become good or bad depending on the way the characters are handled. I’ve learned a lot from that. —That’s rather deep. Can you please recommend any Disney works, or talk about any you’ve seen recently? Nomura: I think I’ve spoken about this before, but I like The Lion King, that hasn’t changed. Recently, I was invited to the preview of Frozen, and I thought it was really good. Now that Pixar’s Mr Lasseter has also become the chief creative officer at Disney, I expect that from now on there will be even more works that are even more challenging. As a fan I am really looking forward to Big Hero 6 which premieres in December. —Speaking of Frozen, there were reports that co-director Mr Tai Yasue made a statement regarding content with a point about ‘if Frozen were to appear in KH’. Nomura: That surprised me too. I checked with Yasue, because we haven’t touched upon it at all, and there’s been no talk about what we’d do ‘if we put it in for now’. I do understand, though, because interviewers overseas do talk about their wishes for what they’d like to happen. In response, we Japanese don’t give clear yes or no answers. Then sometimes they take it as as ‘fact’. It was misinformation that came from a difference in culture. —So that’s what it was. Now, how do you actually choose new worlds? Nomura: The shape the process is taking for KH3 is everyone sharing what sort of things we’d like to do on what sort of worlds, and then making decisions looking at that. A wide range of works fall within our targets so there are a lot of candidates, but we can’t make them all, and in the end we also need the OK from Disney. But, the staff working on KH3 are pushier than they’ve ever been (laughs). They get highly passionate on the spot, elaborating to me exactly why we ‘just have to do this!’, so it’s difficult to make choices. —Now we will ask about each title included in KH2.5. What are the highlights of the HD version of KH2? Nomura: KH2 has denser maps and directed parts compared to KH1, and there are also more characters. We have made it easier for you to see the expressions of even the characters at the back of the screen, which I think makes HD an even greater blessing for the information-packed KH2. —It does feel a little difficult to play KH again after having left it for a while. What are your thoughts on the degree of difficulty? Nomura: KH has been called a 'wolf in sheep's clothing' from the early days, and that concept hasn't changed since. Finding a strategy after much trial and error is something I believe games ought to involve, and I think to put as much of that into KH as possible. However, the 'sheep' side of things is the premise that people who aren't very good with action can play too. That's why if you level up you can defeat the last boss. Above that, we have structured the game so that it offers extremely difficult features such as Proud Mode and hidden bosses for those who want to challenge themselves outside the box. I wanted to make it so that you could investigate and discover ways to defeat those more efficiently by paying attention to the timing of your abilities etc., too. Thanks to our staff, I think we were able to make that broad range of difficulty a reality. —We see. KH titles are definitely the kind of games that give back the more you play, or perhaps absorbing is better way to put it. We agree. You added many such extra challenges to KH2 in Final Mix. Which do you recommend? Nomura: The Lingering Will. It was one of the greatest fights of the entire series, and still is. He is ridiculously strong and difficult to defeat, but I'd like you to try and experience a glimpse of that strength for yourself, even if you can't win. I also think that you will have different feelings playing BbS depending on whether you've fought him or not. KH2.5 does include BbS as part of the set, so after playing KH2 and fighting the Lingering Will, I'd like you to then play BbS. —Next, please tell us about the highlights of the HD version of BbS. Nomura: In some ways, HD had an even greater impact on a game made for a handheld compared to KH2 which was for a home console. It's beautiful, of course. I could say it feels like something completely new and unseen. As for the plot, having three protagonists means there are many memorable scenes, and I couldn't single one out. If I were forced to say, I might say the secret movie. I think it's one of the most moving scenes in the series so far, and I really want you to see it in HD. —Do you have any particular recommendations from the factors added to Final Mix? Nomura: The Secret Episode. It goes a step further than any of the other secret movies in the series so far by letting you play it as an episode. There's an urgency to the plot and battles, and I'm glad I tried putting it in. By the way, the words 'Birth by Sleep -Volume Two-' show up at the end. That points out that Aqua's story of the developments in the Realm of Darkness does exist. That she didn't necessarily just wander lost in the darkness for ten years, and that there is a story she experienced. However, it is not shown - that episode lives up to its other name, 'A fragmentary passage...', and it cuts off there. I'd like to get a chance to tell that story somewhere, though. —We are very interested in Aqua's Episode. There were multiplayer sections in the original version. What do you think about the compatibility of KH and multiplayer? Nomura: If I had to say one way or the other, I think perhaps the players of KH want to be made to be immersed completely in the world they are playing, so I don't think we will actively move towards multiplayer. Perhaps something that gives an asynchronous feeling of being connected, like in Re:coded, would fit better. Of course, I do consider multiplayer elements if it would fit the title, such as in KHχ (Key), where the premise is based on the Keyblade War, and BbS, where the three main characters made for interesting opportunities. —Lastly, please tell us about the highlights of the HD version of Re:coded. Nomura: It's been turned into cutscenes and given voicing - the whole thing is a highlight. The dialogue in parts that were shown through text in the original version have also been polished up in order to be voiced, so I think the overall impression is considerably different. There are also textual intermission sections, which feel fresh as they are voiced by Mickey. Also, we adopted the style of the original animated films for our directing. For example, in Alice's world, we had the voice actor read parts that had been written out straight in the subtitles with a 'catlike' inflection. (Translators note: he says sentences ending in '～dana' were read as '～danya', which represents a cat's meow.) I think there are lots of things like that to discover in this title. Also, because Days, which was included in KH1.5, was divided neatly into chapters by day, it was organised like a sequence of short, connected stories. In Re:coded, we were careful to try and connect the longest story to watch as possible by including Disney Worlds, battle scenes and narration. —This is the second time Re:coded has been remade. What sort of significance did each title have? Nomura: It was first developed for mobile phones, which was a challenge. We had issues with volume, and we tried to change the play style for each world so as not to become monotonous. That concept was passed down after that, despite us basically starting from scratch when we remade it for the Nintendo DS as Re:coded, with that eccentric growth system and such. I think of all the titles in the series it's the one that's the most sheer fun. —With all the new scenes, the cinematic work the HD version became is a gorgeous title. We were surprised at the content of the completely new scenes. Nomura: We put in two completely new scenes. The 'Tome of Prophecy' appearing in one is connected to KHχ (Key), so you'll come to understand what sort of power it holds. I included that element in KH2.5 because many people right now have the impression that χ(Key) is 'detached from the series', and I wanted to convey that there is indeed a firm connection. The other scene is set just before the scene in KH3D when Axel and the others wake up. I think many questions will come bubbling up if you look deeply into it, so please see what your imagination comes up with. —By the way, with the shift to the next gen consoles underway, especially overseas, would you say you want to release KH1.5 and KH2.5 on the Playstation 4 or the Xbox One? Nomura: The future plans aren't decided, but since we've only just finished work on KH2.5, we would need a little more time to look into the technical aspects of HD remastering for next gen consoles. —Let us bring up a slightly older topic. You used the opening section of KH3 in a recently released trailer for KH2.5, didn’t you. The conversation between those strangers was rather enigmatic. Nomura: I had received so many responses after releasing that play video previously, and I could feel that people were eagerly anticipating KH3. I really wanted to put out some sort of message, even though I couldn’t show any content at that time. And, I wanted to show everyone that KH3 begins somewhere nobody is expecting, with speaking from new voice actors that haven’t appeared in the series before. I really enjoyed seeing everyone try to guess who those two are. —We definitely were surprised. We hadn’t expected it to begin like that at all. Nomura: I wanted to go with an introduction that wouldn’t make fans be like ‘yeah, we knew that’ upon seeing the opening section, and that would have both fans who knew the series and fans who didn’t be like ‘what’s this? What’s going to happen next?’ and start feeling anticipation. I do this every time, but I want to try and make things even for both fans and newcomers. By the way, the conversation between those two is actually a lot longer, it goes for over two minutes. When you hear their conversation, you’ll understand the flow of everything so far. Nomura: That may not necessarily deserve capitalisation. It just means what it says, ‘Keyblade Masters who have been lost’ (laughs). —Oh, is that so (laughs). We are very much looking forward to KH3, but there will be a bit of a wait to go after KH2.5 is released. In the meantime, are there any new developments for the series? Nomura: Counting the developments in PC browser game KHχ (Key), I’d like to think that fans will spend the least amount of time possible separated from works from the series. —We do wonder how KHχ (Key) will go from here. Nomura: The scenarios of KH3 and KHχ (Key) are intimately related, so they are being written at the same time. That’s why the plot of KHχ (Key) has been on pause for a little while, and I am very sorry, but I have to ask you to please wait a little longer. We are also currently investigating developments that would allow more people to experience KHχ (Key). —KHχ (Key) isn't the only title that hasn't been covered in KH1.5 or KH2.5. There's KH3D, too. Nomura: That's true. Aside from KHχ (Key), which is currently still open for service, KH3D is the only title in the series not remastered in HD. I personally don’t like leaving it as the odd one out, so I think it’s an issue that requires consideration. >Sora's mobility in KH3 is what?! —Once more, may we ask about the state of development on KH3? Nomura: It’s moving steadily along the estimated schedule. As an effect of us changing the game engine to Unreal Engine 4, which we did for several reasons, we had a lot of problems with the image creation, but we have been able to progress without incident with the collaboration of Epic Games. —That's a drastic change, to be sure. However, at the same time, our hopes for the finished product have risen. What sort of work are you yourself currently doing on it? Nomura: Right now I am in the middle of writing the scenario and selecting worlds. 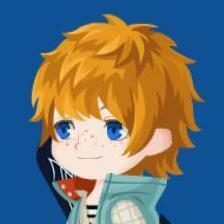 I'm also drawing new clothes for Sora and Riku. —Wow, we wish we could see it already! By the way, out of scenario writing or world selection, does one come first before you proceed? Nomura: I do them parallel. I create the rough story, then the staff work out the details of how play will flow in-game. Then I fit each world in while keeping the flow of the plot in mind. After that, we take it apart and go along making decisions about the main story and the story of each world. —We see. So, how is the action part coming along right now? Nomura: When I went to Osaka the other day and saw how development was coming along, Sora’s mobility was too high. He’d reached a level where just moving around would probably make him invincible (laughs). Of course, he can’t move like that from the beginning, but it looks like by the end he will be incredible. I’m looking forward to the next check. In a previous trailer Sora fought by transforming his Keyblade. The variations of those are also turning out to be amazing. It’s close to the way the original Keyblade wielders fought in BbS. —We can't wait for the next announcement. Now, we’d like to ask a little about your work outside KH3. FFXV was announced at Tokyo Game Show 2014, wasn't it? Nomura: That's all up to the company. I can't say any more than that right now. —Previously you said that various jobs had fallen into your lap. Are those keeping you busy, too? 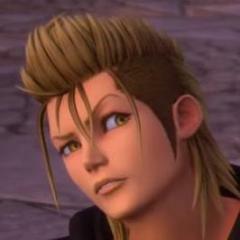 Nomura: I do have many projects other than KH3. For some reason in this timing I have received many offers from both inside and outside the company, and I will be responding to those first. There are things that were given to me individually, and there are many things related to games, things outside games, and things that are yet to be announced. The closest thing is that at in October I am going to Comic Con which is being held in New York. While I have been given those jobs, I do intend to keep moving my own projects forward. Thanks for the interview, really interesting. Do they ever ask about Chi's localisation? This is a Japanese magazine. He does mention the possibility of making it available to more people though. Anyway, finally! We get to see the full interview! I'd still really like to know what exactly led to the decision to switch from Luminous to Unreal 4. I hope this will allow the game to be even better than it could have been on Luminous. I just can't wait to see and hear more! Also, I hope that future interviews will focus a bit more on the future possibilities for KH3D and KHX. It's really important that we learn if X will become available to all of us in some way or not. And also I'd really like to see Nomura set the record straight on all the other doubters and give a full on announcement about any KH3D HD treatment, because I am seriously impressed by how many people are still saying it won't happen. Anyway, can't wait for the next big Nomura interview! They know the game is important, and they know that the series is available in other countries. I understand the question will not be relevant to the audience, but they could at least be a bit more considerate. There is no English version of the game's platform. I can't see them releasing it in English unless they port it to iOS and Android, which they would be crazy not to do.